When Clive Davis was the head of Columbia Records, he sent out a promo video (this was in 1973) of him reading the lyrics to Bruce Springsteen’s “Blinded by the Light.” It’s a hoot, but it sold Bruce’s first album. Three years later, he went to meet Eric Carmen, former leader of the Raspberries, in his apartment in Cleveland to hear a bunch of songs for Carmen’s first solo album. Carmen said in a video shown last night at the first ever Arista Records reunion: “Cleveland? Can you imagine?” Davis heard the hit “All By Myself” and the rest is history. And the history was all on display last night at the Cutting Room, where former Arista exec Ken Levy and a bunch of Clive “grads” put on an unexpectedly emotional and fun first ever reunion. It’s 42 years since Clive took over Bell Records, kept three of the artists, and built Arista. 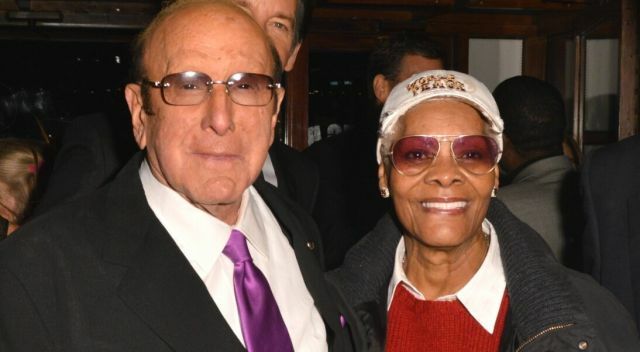 Barry Manilow’s “Mandy” was the first hit and the golden streak didn’t stop until around 2000, when Davis started his J Records and launched Alicia Keys. Arista went on without him, but not for long. There was a cake in the shape of the old combo record/tape player Clive used to listen to his cassette tapes on, of demo songs for the artists. Beautiful. So many important people from the Arista years were there– Pete Ganbarg (now at Atlantic, where he’s made 21 Pilots a hit), Richard Palmese (rocking on the west coast with Live Nation), Roy Lott, Donny Ienner (who went on to an infamous career with Tommy Mottola at Sony), Clive’s beloved secretary Rose Gross-Marino, Gerry Griffiths– he signed Whitney Houston to her contract, and so on. Some went back to the Bell days right after Clive came from his fabled run at Columbia Records. The only act Bell really had was the Fifth Dimension (who should be in Halls of Fame). Many warm greetings in the room from all kinds. Many people came from Columbia to Arista with Clive after he was fired (a set up, politics, etc) because they believed in him. It paid off. Clive was overwhelmed. He brought his friends– Nikki Haskell, Beverly Johnson, and Greg Schriefer. His 20 minute speech was so lovely, and heartfelt. Here’s a clip from it. The meat of it starts around 7:17 to 8:52, and you can see what a mensch he is and why these people loved him. I sat with the publicists– Gwendolyn Quinn, Tracy Jordan, Lynne Volkman, Carol Klenfner, and of course Melani Rodgers. What a gang! Yes, Whitney’s name was invoked a lot. There was a beautiful in Memoriam section where I saw my old (and much missed) pal Michael Klenfner. Aretha Franklin’s ear must have been burning– she was spoken about a lot. And so many hits– Clive revived the Grateful Dead, the Kinks, and Santana, among others. It wasn’t all just Whitney. And he presented Patti Smith to the world– the most cutting edge influence ever. Wow. Box Office: "Jungle Book" Swings to $103Mil Opening Weekend, By the Guy Behind "Swingers"